One of our most popular gifts packaged for retail sales or a tournament gift bag. 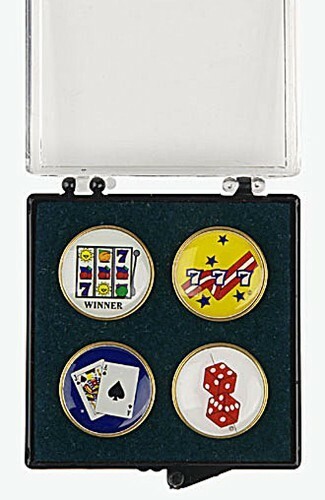 Choose a set of four ball markers with your custom or generic or theme based logos. Packaged with a rich faux velvet insert. • Imprint area: .750" diameter. • Normal Packaging: Plastic Box.